Zippered main compartment with double 16" reinforced top carry handles. Zippered front pocket with earbud port. Open-top back compartment. Zippered side pocket. Side mesh accessory pocket. Adjustable padded shoulder strap. Earbuds & pens not included. 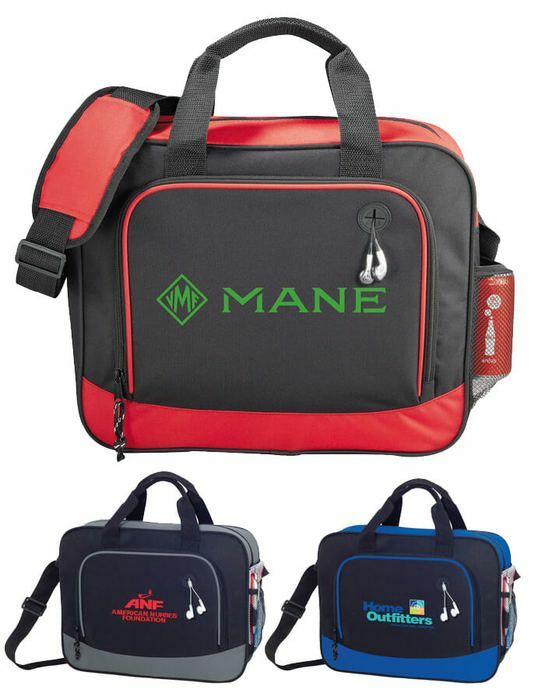 Order the messenger bags for our providers and they are super nice. Customer service was great ... thanks Jennifer for all your help!